Silly but Charming. Funny, Smart and Memorable. Guy Carpenter has a prestigious job at NASA, a devoted wife and new baby, and, aside from a troublemaking cat, a settled, quiet life. But things take an unexpected turn when this regular guy finds himself mixed up in an international scandal of enormous proportions. Many years ago, the great British philosopher Sir Isaiah Berlin urged Herman Wouk to write his autobiography. Wouk responded, "Why me? I'm nobody." Berlin answered, "No, no. You've traveled. You've known many people. You have interesting ideas. It would do a lot of good." 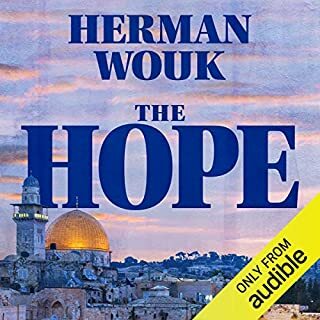 This Is My God is Herman Wouk's famous introduction to Judaism completely updated and revised with a new chapter, "Israel at 40". 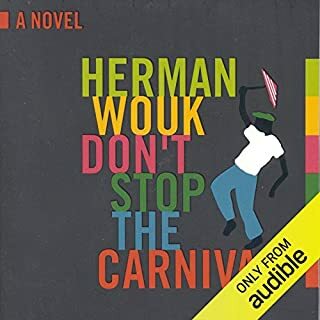 A miracle of brevity, it guides listeners through the world's oldest practicing religion with all the power, clarity, and wit of Wouk's celebrated novels. Diamond Head, Hawaii, 1941. Pvt. Robert E. Lee Prewitt is a champion welterweight and a fine bugler. But when he refuses to join the company's boxing team, he gets "the treatment" that may break him or kill him. First Sgt. Milton Anthony Warden knows how to soldier better than almost anyone, yet he's risking his career to have an affair with the commanding officer's wife. Both Warden and Prewitt are bound by a common bond: the Army is their heart and blood...and, possibly, their death. Marjorie Morningstar is a love story. It presents one of the greatest characters in modern fiction: Marjorie, the pretty 17-year-old who left the respectability of New York's Central Park West to join the theater, live in the teeming streets of Greenwich Village, and seek love in the arms of a brilliant, enigmatic writer. 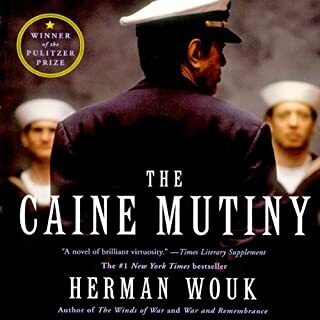 In this memorable novel, Herman Wouk, winner of the Pulitzer Prize, has created a story as universal, as sensitive, and as unmistakably authentic as any ever told. 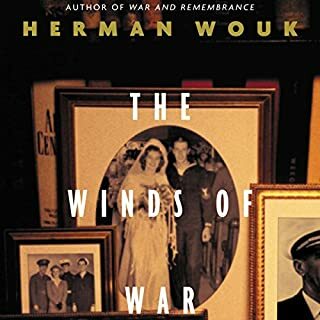 Check out two of the best reviewed titles and biggest customer favorites in our store, Wouk's The Winds of War and War and Remembrance. 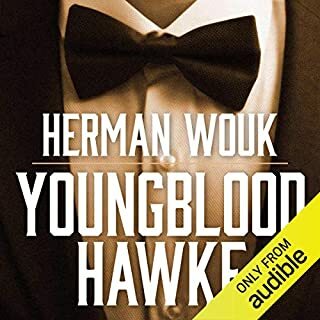 ©1955 Herman Wouk (P)2012 Audible, Inc. The book and performance are fine, but Audible has left out the final chapter that resolves and completes Marjorie Morningstern's life. Without this final chapter, the book falls flat. Sorry, Audible, but buyers should be aware of this error. Would you consider the audio edition of Marjorie Morningstar to be better than the print version? Definitely!. I recognized the characters immediately. I ‘knew’ them. They were family members, classmates, coworkers, people I grew up with. Their backgrounds and the setting may be different, but the people were all the same. Even though I personally know little about York City and the Theatre life, the story could be played out in any setting. The characters and the story are timeless. Yes, I thoroughly enjoyed the book. There were bits here and there that bogged it down a bit. The ‘philosophizing’ would sometimes drag out a bit longer than I thought necessary. Some dialog was a bit ‘wordy’. But they were more tolerable when listening to the audio version. I probably skimmed and skipped through a lot of that when I read the hardcover book 35 or so years ago. Gabra Zackman did an excellent job with the performance. There were times, particularly at the beginning, when the men’s voices were a bit flat. But she either got better at reading their parts as the story progressed, or I got better at hearing it the way I thought it should be. I first read Marjorie Morningstar when I was in high school. I still remember clearly discovering the book on the shelf, flipping through the pages, reading a bit here and there, and taking it to the counter to check it out, writing my name on the card to be filed away and the librarian stamping the return date on the slip of paper glued to the inside front cover. I read a lot of books then – two or three books a week for weeks and weeks at a time for the years I was in junior high and high school. Many of the books have long been forgotten. But Marjorie Morningstar stood out. When I saw it was available on audio book, I got excited and immediately downloaded it. I had forgotten a lot of the details of the book. I think reading it as a 15 to 17 year old, I had a different understanding of the characters and the plot. The parts of the book, the message of the story, were different when read as a teen. Just as Marjorie’s point of view changed, so has mine. 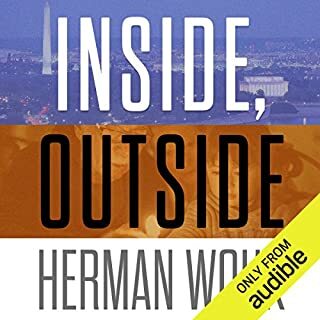 I am now looking forward to reading/listening to more of Herman Wouk’s work. I think that might be the best reveiw/recommendation a book can have. 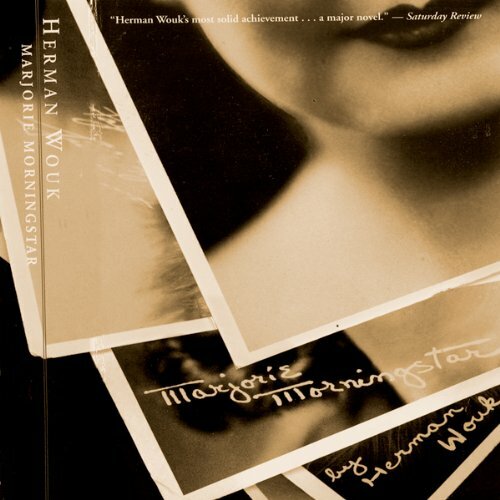 I am sort of a sucker for anything by Herman Wouk. As an aficionado of his WWII books, I expected this one (when I first read it a million years ago) to be too girlish for me; and it is certainly more soap-opera-like than the war books; but I think it is better than that implies. Wouk is attempting to get inside the mind of a mid-20th-century American as a way of exploring some big ideas. He is particularly concerned with the place of traditional moral values in a modern setting. His conclusions are seen by many as being bourgeois or reactionary, but I think that is going too far. He certainly favors traditional morality as a way to get through life, but he doesn't do it in the snide, condemnatory way that so many right-wingers use today. Bestselling novels just don't engage the kind of ideas that are in this book anymore. And as a child of the rural midwest, this book was one I used to live vicariously in New York in its golden years. It is so evocative of a different era! And the characters are pretty well-drawn. Noel is exactly right as the seemingly super-accomplished yet really inadequate "genius" type; and Marjorie herself is an unusual heroine. I usually half fall in love with the heroines in Dickens or Trollope of whoever. Marjorie remained interesting and attractive without ever being the embodiment of perfection we usually get with such females. The narration could have been better -- someone with a bit more sophistication and sureness -- and who could pronounce things a bit better -- would have been good. But well worth a listen, overall. I thought the book was going to be a relatively superficial coming of age story. However, the social, political, and philosophical ideas explored make the story rich and thought provoking. Even though the story takes place between 1934 - 1940, the issues explored in the novel are as contemporary now as then. A bonus is Wouk's wonderful sense of humor sprinkled throughout the book. Loved this again - 35 years later! I read this book many years ago and loved it - when I saw it on Audible I decided enough time had lapsed that it would seem fresh again. I am so glad I did. The performance is outstanding and the story itself is as well written and engaging as I remembered. It's a very long book and I have thoroughly enjoyed every bit. The characters and plot are well developed and multi layered and the nostalgic look back at 1940's era New York is a treat. I adore this book and have read it several times. I have waited for years for this book to come out on audio. I was so disappointed by the quality of the narration. I felt that the narrator had very little interest in the story and was quick to stereotype the various ethnic characters. You'd think that when a story has such a rich diversity of ethnic characters the producers would have found a narrator who could actually pull-off accents and/or dialects. Her German characters sound Irish and she turns the "slight drawl" of Sandy Goldstone into something that sounds Texan, and all of the Jewish adults sound like Shecky Green. Although this is a book about New York and New Yorkers the narrator sounded Midwestern most of the book except when she was mangling dialects/accents of ethnic characters. What made the experience of listening to Marjorie Morningstar the most enjoyable? The narration is superb. The narrator distinguishes many different voices consistently which makes the ease of following the story and identifying with the characters, flawless. All the characters are interesting and quirky. The story is engaging. What other book might you compare Marjorie Morningstar to and why? Anna Karenina because they are both period pieces and follow the journey of a girl into womanhood. Who was the most memorable character of Marjorie Morningstar and why? The uncle, but I never did understand what his name was. I use audio books when I am exercising. It is the only time I allow myself to listen to the story, so it needs to be interesting, engaging and witty to make me look forward to exercising. This book does the trick for me. I loved this book when I was a young woman. It is a little old-fashioned but the writing is vintage Wouk. A plain story of a striving girl who knows what she wants, "Marjorie Morningstar" is probably best enjoyed as a printed book. This audio version is NOT worth the high price. If you still want to purchase it after reading this review, do so with a credit. The reader ends every sentence (not an exaggeration) with a breathy downturn in her voice, as you might if you wanted to make a particularly emotional moment more poignant. The best readers are those who read as if they have read the text many times before, who know not only what the words are and how to pronounce them, but know what how the particular sentence fits into the paragraph/page/chapter/greater story, too. They emphasize the right words, portray appropriate emotions with changes in their voice, etc. This narrator reads every sentence with the same gravitas, as if every sentence is a pronouncement, a key idea, a highlight. That cheapens every sentence and bores this reader, anyway. I do not recommend this audio book. If you could sum up Marjorie Morningstar in three words, what would they be? Nothing ened like I thought it would. I thought it was going to be more about her life on broadway.